Time has come for a small sacrifice of our ego for a large benefit of our future generations. As the American astronaut Armstrong said when he first landed on the Moon on July 20 1969: "That's a small step for man, one giant leap for mankind." All Meiteis, regardless of one's self-importance, should become humanists and aesthete in an age of nihilists and butchers, by contemplating and owning responsibilities for the events occurring around us in the Manipur valley. The Meitei demand for their inclusion in the ST category is the accumulation of events that have come to blight them from the burst of euphoria that came with independence in 1947, with the hope for a bright and beautiful future. It's a bit like the Irish Potato Famine of 1845-49 when their potato crops were blighted by disease. Since then the Irish eat potatoes with their skin. They never peel potato skins because of their nutritional value. Beleaguered Meiteis are now only seeking a constitutional guarantee to help raise their standard of life to that of an average Indian. They are not seeking El Dorado, the fairy gold mine, but only for what is available as their right under the Indian constitution. Meiteis have been silent for over half a century, and have now come to their senses that silence is not always golden. 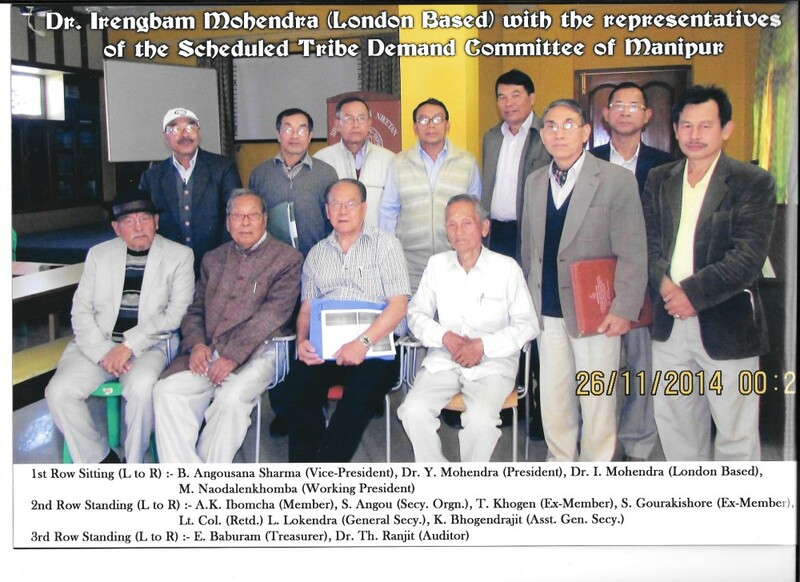 I join the altruistic Meitei ST Demand group - the 'Schedule Tribe Demand Committee of Manipur' (STDCM) that is spearheading the mandate for a reclassification of Meiteis from a retroversion to the Other Backward Class (OBC) to the ST category, long after they had been unjustly classified in the General class. The OBCs in the Indian Constitution (about 25% of the population), are described as "socially, economically and educationally backward". They are theoretically, entitled to 27% reservations in public sector employment and higher education. In practice, by 2013, OBCs, for example, held only 6.67 % in the employment sector. For many reasons that are outside the compass of this article, the figure comes to almost naught for Meiteis. The OBC is a complicated class and ill-defined. There is OBC –A class or non-creamy layer, which is considered less educated and less wealthy than OBC-B. The creamy Layer is defined for those whose annual income is more than eight lakhs of rupees. Calculation of this income in rural areas is often hit and miss, as in Manipur. As a rough guide, the present population of India by now, must be about 130 crores. Out of these in the government sector, 16.6% (about 26 crore) belong to SC with 15% reservation; 9% (11.7 crore) to ST with 7.5% reservation and 41% (53.3 crore) belong to OBC with 27% reservation. The remaining 30% belong to General category. The population of Manipur is about 28.5 lakhs out of which 13.6 lakhs are Meiteis. You don't need to be a rocket scientist to know why Meiteis as OBC, are left out in the reservation quotas. The vast majority living from hand to mouth, mostly in the villages, are economically and educationally no better than the people belonging to the ST group. There can't be any doubt that Meiteis are indigenous people from the point of socio-economic and demographic perspectives. The Meitei history of reminiscence draws strength for our origin as tribal folks. To recap, Meiteis are an admixture of the indigenous seven tribes known as salais. We can trace back our history almost 2,000 years. It is a fallacy that Meiteis have ceased to be a tribe simply because of our conversion to Hinduism and ranking us in the highest Kshatriya class, by the will of Shantidas Gosai. We Meiteis by trait, are laid-back. We are imbued with a peculiar tribal character of self-aggrandisement and a habit that is bereft of a desire to think deeply and read books for enlightenment. We have not always been personally prudent, with a false superiority complex based on our subconscious inferiority mind-set. Some of us still continue with our standard depiction of the wealthy such as paisagidee kari amata wabiriganu (you shouldn't worry whatever it costs) and privileged (some kind of immunity) as terminally self-obsessed narcissists. All that the STDCM is asking is that Meitei people come down a peg or two in arrogance for the benefit of the poor Meiteis, who form the great majority, and for their white-knuckle-ride to prosperity in their future. We should now do away with living on an unhealthy diet of a false ego, eikhoina mahale (we are better than them) and eikhoidee khudei ama shetlaga pungnung nungaiba jatnee ie. I am quite contented though I have only a khudei to wear (can't afford a phijom). In spite of this mendacious contentment and carefree existence, we continue to be bombarded with diatribes of selfishness by other communities of Manipur. On the positive side, our general outlook in life is far from being greedy and envious though we remain inconsequential to our tribal brother and sister friends. While we accuse each other of lying, many impoverished Meitei youth remain in the doghouse. The Meiteis now refer to five socio-religious groups: (1) Meitei Hindus; (2) Meitei Sanamahis; (3) Meitei Bamons; (4) Meitei Christians; and (5) Meitei Pangals. Meiteis thus remain a larger tribal community though they are a bit more advanced than other Manipuri tribal communities because of living in faraway inaccessible hill ranges. The continuing demand of the STDCM with such a large turnout of the Meitei population in a rally on March 3 2019, shows the backing of a large majority of Meiteis. Though our foreheads won't be etched in letters as 'tribal', like the branding of cattle to indicate ownership in the American West, there will always some grumpy people. We live in a democracy and we can conveniently ignore them. The ST status means that seats are reserved for Meiteis in political forums like parliament along with job reservations in the civil service and places in educational institutions. Education does not guarantee employment but reservation does. The constitution of India has recognised certain ethnic groups and named them as "Scheduled tribe". These are mainly the indigenous peoples of India. The Meiteis are indigenous people from the point of history, socio-economic and demographic criteria. The Government of India identifies indigenous peoples as socially and economically backward and in need of special protection from social injustice and exploitation (Government of India, 1950, Constitution of India, Part XVI, Special Provisions relating to certain classes, New Delhi). I don't quite understand the term 'socially backward' but I know that Meiteis are economically backward. The Meiteis are the "First people"- the natives – indigenous in Manipur. Under international law 'people' is defined as a group of people with a common historical tradition, a racial identity, a shared culture, linguistic unity, religious affinity, a territorial connection and a common economic life. 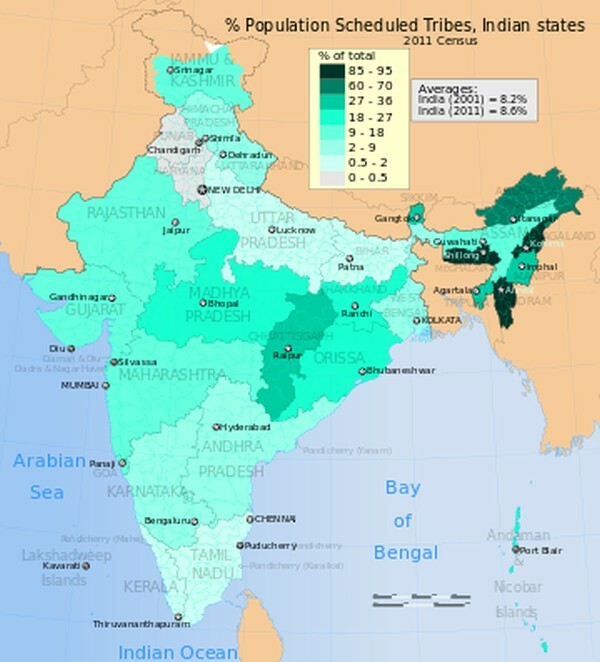 The indigenous population of India consists of 8.6 per cent. Over 84 million people belonging to 698 communities are identified as members of the scheduled tribes and the list has grown from 5.3 percent (1951) to 8.6 percent (2011) since their formal recognition in 1950. The Meiteis had a place in it, but a handful of Meitei politicians at that time (1950) who were lacking in altruism, chose to opt out of it. To err is human. Since we know that it was a mistake, time has come for us to correct it. To do that, STDCM needs undivided support from all Meiteis. In Northeast India, scheduled tribes constitute more than 65 percent of the total population. Protection is given to these peoples by the constitution of India, but as the Meiteis are not on the list, we are missing out on many fronts and thus trail economically, educationally and socially behind many others, who belong to the same under-privileged group. The classification of a community as ST in the Indian Constitution, is based on the following criteria, which many Meiteis must be aware of. They are (1) a community's primitive traits, (2) distinctive culture, (3) shyness with public at large, (4) geographical Isolation, and (5) social and economic backwardness. Meiteis do fit this description, like a hand in a glove. All being said, it is all to the incumbent Manipur government to work out the right framework for inclusion of Meiteis in the ST category. It has nothing to do with other tribal communities and perhaps they should keep it under wraps. If the cap fits Meiteis will wear it. Speed the plough. No Labour, No Bread. I rest my case. This article was webcasted on March 28, 2019.